All web sites have links, and we are no exception! All links are obviously cycling related, and are here to provide you with a one-stop-shop for all your cycling needs! The Cheshire Classic Ladies Road Race. Part of British Cycling’s National Series. Hosted by Weaver Valley CC. British Cycling is the National Governing Body for cycling in Great Britain, the Isle of Man and the Channel Islands, aiming to inspire participation in cycling as a sport, recreation and sustainable transport through achieving worldwide success. 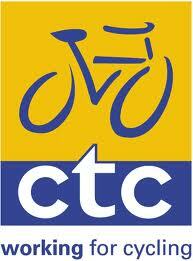 CTC, the UK’s largest cycling charity*, inspires and helps people to cycle and keep cycling. The aim of TLI Cycling is to provide an organised programme of safe sporting events so that all cyclists from school age to senior citizen can take part in friendly competition within their own age and ability grouping. The League of Veteran Racing Cyclists provides racing for cyclists who are veterans. To be eligible to join you must be 40 years of age or more; the League is open equally to male and female bike racers. Don’t worry if you think you aren’t fit enough to race – in the LVRC you are always allowed (encouraged, in fact) to compete in an older age group than your calendar age indicates. This is deliberately designed to help people get back into racing, and move up the groups as fitness starts to return. The Veterans Time Trials Association is for anyone over 40 years of age who has an interest in cycle racing, and specifically in time trialling. Manchester District of Cycling Time Trials. Association that organises Time Trials, principally in the ‘J’ area of the national area classification. Sustrans makes smarter travel choices possible, desirable and inevitable. We’re a leading UK charity enabling people to travel by foot, bike or public transport for more of the journeys we make every day. Cycling Weekly magazine is packed full of cycling news, fitness advice, product tests, race reports, interviews and expert advice. Since its inception in 1995, Cyclingnews has grown to become the world leader on the internet for the sport of cycling. The site is the passionate cycling fan’s first port of call for news, race results, tech, live race coverage, race photography, interviews, features, diaries, video content, fitness and forums. Sister site of Bike Radar (below). BikeRadar keeps you up to date with top reviews of the latest bikes and gear for cyclists. Check out our sections on mountain, road or beginner bikes, looking at new models and putting them through rigorous testing. All bikes are properly rated by our experts for price, strengths and weaknesses. We also check out all that’s new with bike parts, clothing, tyres and accessories to keep you informed as to what’s out there. To help all enthusiasts, we’ll impart with our years of cyclist knowledge to advise you on bike maintenance, best cycling routes and keeping up with fitness and nutrition. BikeRadar.com: from the Cycling Plus, MBUK, Pro Cycling and What Mountain Bike network. road.cc is the UK’s number one road cycling website. More UK road cyclists visit road.cc than any other UK road cycling site, and the trade like it too. They have voted road.cc the best cycling website in four of the last five years.